The ISSF Technical Committee recently approved a testing device for checking the flexibility of shoes worn by rifle and pistol shooters, which gives precise measurements of the flexibility of the shoe soles. The ISSF Technical Committee recently approved a testing device for checking the flexibility of shoes worn by rifle and pistol shooters. The testing device has already been used to test shooters’ shoes during the 2011 European Championship in Brescia and the Sydney and Changwon World Cups. Data gathered during this testing has been used to establish shoe sole flexibility standards that will now be enforced in ISSF Championships, beginning with the Munich World Cup in June 2011. Fort Benning World Cup. Rifle and pistol shooters’ shoes will be tested with the new device on an advisory basis. 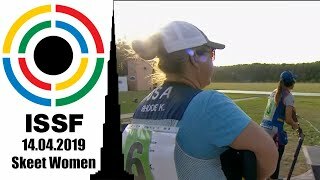 Shooters with shoes that do not meet the ISSF flexibility standard will be advised that their shoes must be modified to meet the ISSF standard if they are to be worn in future ISSF Championships. Munich World Cup. 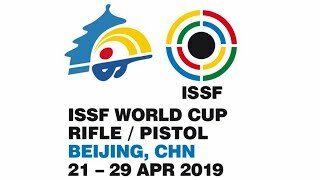 Rifle and pistol shooters’ shoes will be tested in equipment control checks and will not be approved for use in the competition if they do not pass. They may be modified to meet the ISSF flexibility standard and be rechecked. Boots and shoes will be checked in post-competition tests and will be subject to disqualification if they do not pass. Future ISSF Championships. 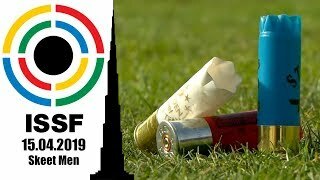 The testing standards enforced during the Munich World Cup will apply in future ISSF Championships such as the 2011 World Cup Final and Continental Championships as well as in all future ISSF supervised competitions and the Olympic Games in London. The use of any special devices means or garments that immobilize or unduly reduce the movement of the shooter's legs, body or arms is prohibited in order to ensure that the performance skills of the shooters are not artificially improved by special clothing. ISSF Rifle Rules have an additional provision requiring that “the sole must be flexible at the ball of the foot” (7.4.6.3.2). Now that the ISSF has an approved testing device and test data from more than 700 boots and shoes taken during 2011 Championships, it is possible to establish an objective testing standard. The soles of shooters’ shoes must bend at least 22.5 degrees when a force of 15 Newton-Meters is applied to the heel area while the boot or shoe is clamped in the testing device. The testing of rifle shooter boots with a precision testing device answers a critical enforcement need. Previously all rifle boots could only be tested by the very inaccurate method of applying physical force. The ISSF decision to also test pistol shooter shoes arose from recent discoveries that a few pistol shooters were using steel plates or other inflexible inserts in the soles of their shoes. This is a clear violation of Rule 6.4.2.1.1 that prohibits the use of any “special devices, means or garments that immobilize or unduly reduce the movement of the shooter’s legs, body or arms.” Steel plates or other inflexible inserts that are placed in the soles of shoes are special devices or means for unduly reducing the movement of an important part of the shooters body and are therefore illegal. All National Federations and coaches are urged to be sure that shooters who are entered in upcoming ISSF Championships have shooting shoes that are legal according to ISSF flexibility standards and are prepared for these new enforcement procedures.